Australia's corporate regulators will be subjected to a new oversight body in a shake-up of the banking sector after a report claimed financial supervision in the country was too "narrow" and "must extend beyond financial risks to non-financial risks." The recommendations ask for a number of changes in different sectors, particularly in financial advice, it focuses in on ongoing fees, disclosure of lack in independence, quality of advice, conflicted remuneration and disciplining for misconduct. "The price paid by our community has been immense and goes beyond just the financial"
Regulators were routinely accused throughout 69 days of Royal Commission hearings of working too closely with the banks. When misconduct was revealed, it either went unpunished or the consequences did not reflect the seriousness of what had been done, the inquiry found. "Culture, governance and remuneration march together. Improvements in one area will reinforce improvements in others; inaction in one area will undermine progress in others," Mr Hayne noted. "Making improvements in each area is the responsibility of financial services entities." He also slammed sales culture within institutions. "All too often advisers have preferred their own interests against the interests over clients, despite having an obligation to pursue the best interests of their clients," Hayne said. "Providing a service to customers was relegated to second place. Sales became all important." Responding to the release of the Royal Commission's final report, Treasurer Josh Frydenberg has confirmed the payment of grandfathered commissions will be outlawed. Further, from 1 January 2021, payments of any previously grandfathered conflicted remuneration still in contracts will instead be required to be rebated to applicable clients where the applicable client can reasonably be identified. The commission's recommendations were released by the government after 11 months of shocking revelations of financial wrongdoing which wiped A$60bn (S$58.7bn) from the country's top finance stocks. "The price paid by our community has been immense and goes beyond just the financial," Australian Treasurer Josh Frydenberg said as the government promised to take action on all the recommendations. As well as its recommendations to shake up the entire financial sector, some of the country's biggest financial institutions have been referred by royal commissioner Kenneth Hayne to regulators for investigation and potential prosecution, over conduct in the superannuation and insurance industries. Treasurer Josh Frydenberg said there had been more than 20 referrals made to the authorities - the Australian Securities and Investments Commission (ASIC) and the Australian Prudential Regulation Authority (APRA). 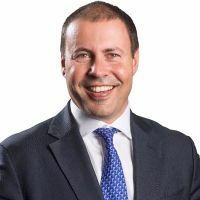 "My message to the financial sector today is that this misconduct must end, and it must be the interests of consumers first," Mr Frydenberg said. Included on the list of businesses referred to ASIC and APRA are some of the nation's largest wealth managers and banks. 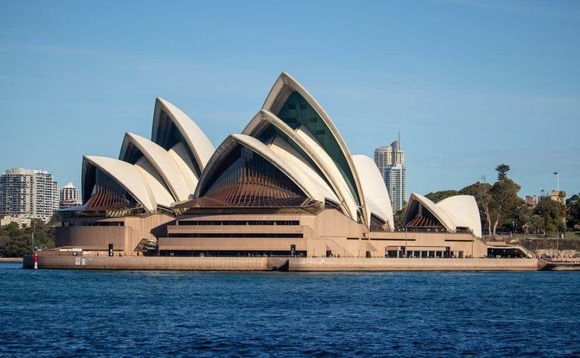 National Australia Bank's superannuation trustee, NULIS, was referred to the Australian Prudential Regulation Authority (APRA) for potentially breaching a section of the Superannuation Industry Supervision Act. Commonwealth Bank was referred to ASIC over its selling of superannuation through branches. Wealth management giant AMP was referred to APRA over its outsourcing of some functions of superannuation management to related parties. NAB chief executive Andrew Thorburn and chairman Ken Henry were also heavily criticised in the report. "Having heard from both the CEO, Mr Thorburn, and the Chair, Dr Henry, I am not as confident as I would wish to be that the lessons of the past have been learned," he said. "More particularly, I was not persuaded that NAB is willing to accept the necessary responsibility for deciding, for itself, what is the right thing to do, and then having its staff act accordingly. "I thought it telling that Mr Thorburn treated all issues of fees for no service as nothing more than carelessness combined with system deficiencies when the total amount to be repaid by NAB and NULIS on this account is likely to be more than A$100m. "I thought it telling that in the very week that NAB's CEO and Chair were to give evidence before the commission, one of its staff should be emailing bankers urging them to sell at least five mortgages each before Christmas.